← Cape Town in Top Ten again! 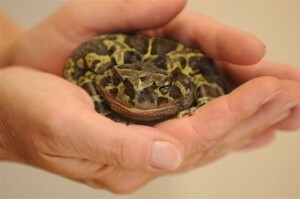 The Western Leopard Toad is our endangered and endemic toad who once thrived from Hermanus to Melkbosstrand. Now isolated populations are left in Kirstenhof, Constantia, Noordhoek, Fish Hoek and Clovelly. We believe that small but viable populations remain in Kommetjie, Sun Valley and Glencairn. These animals live quietly in our gardens throughout the year eating bugs and slugs in our gardens at night. 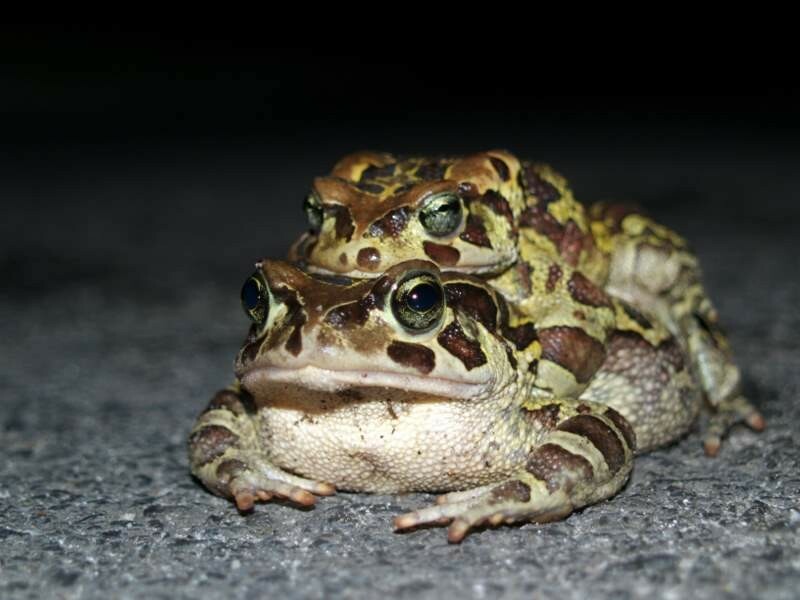 Once a year they undertake a migration of epic proportions by walking to their nearest ponds to meet up with other Western Leopard Toads to breed. Individual Western Leopard Toads have been recorded walking up to 8kms to a pond! They are known to prefer walking down our roads on rainy nights from July through to September. This means that motorist play an essential role in the survival of this species. 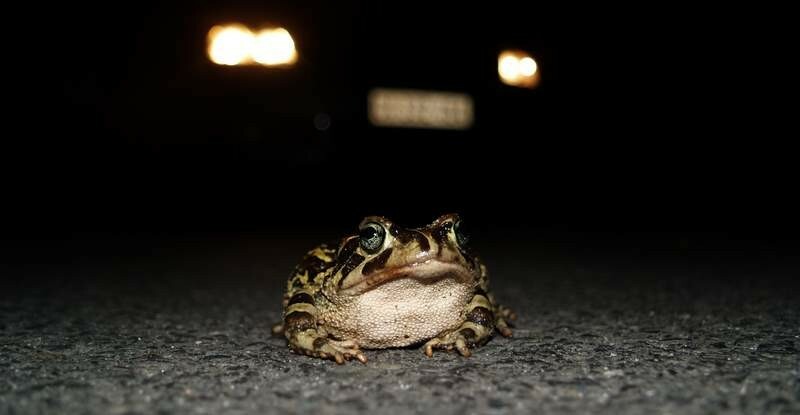 When driving on rainy nights from TONIGHT (21 July 2011) through to the middle of September, please be on the lookout for toads pretending to be stones! They are well camouflaged and can be tricky to spot. Also be on the lookout for volunteers on the road saving our spotty friend. Stop the car behind the toad to protect it from other vehicles. We are currently experiencing the 6th great extinction – 30% of all amphibians locally and internationally are endangered or facing extinction. All amphibians drink through their skin – this means that they are unable to filter out toxins in the water. 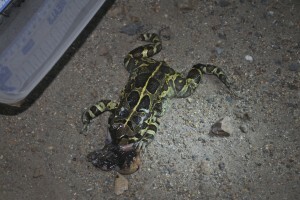 Frogs and toads are considered the “canary in the coal mine”. If they are present in an eco-system it means that the system is in balance and safe for human habitation. Western Leopard Toads are dry land animals – they live in our gardens and will return to the same garden at the end of their migration. They live up to 15 years. 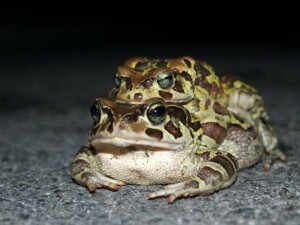 This means that the toad in your garden will be there for a long time! Alison runs Leopardstone Hill – 2 gorgeous self catering cottages in the Noordhoek Valley. If you are looking for accommodation in Noordhoek, this could be your choice. Alternatively you can contact Cape Point Route for more accommodation suggestions. Cape Point Route offers various day tours including a Cape Nature Photo Tour. 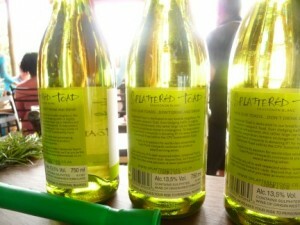 Cape Point Route also recommends supporting Western Leopard Toads by buying and drinking wine! Yes that’s right – Cape Point Vineyards donates R1 of every bottle of Splattered Toad wine that is sold to the CPV Sustainability Fund. This fund makes an annual donation to the Western Leopard Toad Committee, amongst other sustainable and community projects. These funds will be used to erect educational signage throughout the Western Leopard Toad’s homeland. Support toads, drink Wine! This entry was posted in Cause and tagged Cape Point Day tours, Leopardstone Hill, Noordhoek Accommodation, Toad Nuts, Western leopard Toad. Bookmark the permalink.